"Best tool to manage your warehouse "
The way I can control almost every aspect of the warehouse from one place. Easy access to data for better forecasting in the future. better and more efficient way to purchase, store and sell stock. Better use of time and better work flow for warehouse workers. Easy way to track your current orders, packed orders and whats shipping. hard to customize reports, some issues with the Canadian version due to taxes and connectivity with other software like Quickbooks. The design is a bit rough,. Be sure that the system is compatible with all your other software like quickbooks. Make sure to talk with your account manager in order to set up your custom reports from the beginning. Do not purchase the whole Bar code system if you are nor completely sure that you need it. Better use of time, human resources and tracking every item going in and out of the warehouse. Many benefits including data capture which is the most important thing in order to forecast and never loose track of your goals. "INVENTORY MANAGEMENT ON STEROIDS! make sure to get the onsite training and implementation package." The implementer that worked with me did a great job and we got a very personalized experience and a lot of up front training and support. They took care of all the hangups you're going to have when you implement new software to every employee at the company. We've been using Fishbowl for about 2 years now and we've been more happy then ever. We've moved a lot of our business online and we've been very happy with our integration with both our shopping cart, and shipping through shipstation. On another note, they've since moved to a new database system and it's much smoother and faster. But more important than anything else is the fact that they've decreased their support teams response time significantly. I almost always get through to the support team the same day with someone who is ACTUALLY an expert in the software. It's such a breath of fresh air to get support from someone who actually knows the software instead of someone in some other building who seems to have a list of canned responses to the questions I ask. If you want to split hairs this is a box type software and if you want to customize things in the UI there really isn't an option. Make sure to get at least an on-site training, and preferably an implementation package. They will even migrate your data for you if needed. Solved all of my manufacturing tracking problems including tracking serial numbers and warranty expiration, and serial number tracking throughout my manufacture process. The barcode generation system and scanning options has really optimized the speed by which we find SOs and get product picking and shipping done. "Fishbowl is a great product for a small to mid-sized company using Quickbooks "
I think the reporting capabilities are limited. You are able to set up as many custom fields as you want that are specific to your business, but unless you get a custom report created or understand how to write in jasper files. The reporting in quickbooks is way more robust. This has been probably the biggest frustration. Make sure you fully understand the implementation process and follow the set up steps in order. They all build on each other. I would also request that a test database is set up for you (this was done for us for free which I think is standard) so that you can test transactions without messing up your real inventory or sales channels. I made the mistake of not doing this and had to have fishbowl reverse a bunch of transactions for me. It was a nightmare, but totally my fault. Had I tested everything in a non-live version I could have avoided this headache. I also recommend purchasing the number of training hours they recommend based on your consultation. You will definitely need them, even if it isn't used for training, but help in implementing. It's worth it. The biggest reason we implemented fishbowl is because we were trying to find a system that was user friendly enough that someone who was not an accountant could process orders from start to finish. Additionally we needed to be able to track our inventory more automatically. Quickbooks was too manual. "I hope my competitors don't read this...."
It works. As advertised and better. Some companies embellish the quality and quantity of their features. Not Fishbowl. They do every they say and more. I really like that there are not bugs everywhere you turn. It is built so well. Like a database should be. That Fishbowl doesn't make financial software so that I could stop using Quickbooks. Manufacturing accounting is complex. Do the work with the Fishbowl team. We purchased their on-site training and setup. It was well worth the cost. I was using Quickbooks Enterprise Advanced which didn't have 1/10 the features. I have my costing down to the penny. Invoicing, sales orders, picking work well. Importing orders from Shopify, perfect. Fishbowl has saved me time and has made my manufacturing extremely lean. It allows us to more easily track what is being manufactured and to make work orders that can go through the factory with the product as it is being made. Sales order entry is pretty easy. - Their tech support. When you're selling a product that someone is going to run their entire company with, you'd better have outstanding tech support. Not so with Fishbowl. Their chat support staff are next to useless unless one of their canned responses helps out. Don't count on them unless you have an easy problem that you could figure out on your own unless you had to. If you need remote assistance, the chat people can't help out there either. You'll need to call the phone support and wait your turn. - You can't customize it. Our salesperson told us of all the super awesome features that Fishbowl would do. Once we started setting it up, we found out that most of them cost between $300 and $1000 extra to use. You can't even customize a report to your liking. You've got to pay them to do it. - Shipping. Shipping is a giant pain in the a**. We bought their $1000 ShipExpress plugin to make it easier. Ha! Not so much. ShipExpress works fine if you're shipping a single package per order because it will only print one UPS label. If you're shipping more than one box, you've got to use the Fishbowl shipping option. Unless you're shipping UPS 3rd party or Internationally. Then you've got to use UPS Worldship. Sound confusing? It is. - Finance. You're still stuck with Quickbooks as well. Now you've got to maintain and be good at running two programs. - Their updates. Every time a new update comes out, be prepared to limp along for a few days because something is pretty well guaranteed not to work for a while. - The server. Be ready to have to restart the server, kicking everyone out of Fishbowl every week or so. It seems to be the best way to fix access issues. I'd say don't do it. Save your money until you can afford a proper ERP. The learning curve is so steep and the support is so poor, we're basically doing things the same way we did with Quickbooks, just using Fishbowl. Sheldon - thank you for your feedback. I am sorry that Fishbowl did not live up to your expectations. We're actively working to increase the size of our Support team as we seek to provide world class service. We can and will do better. Many of our customers have expressed the desire for easier BI tools and as such we have some exciting enhancements in the works that deal with customization and reporting. Reach out to me if you would like to chat and I'll see if thee is anything that we are doing that would any of the concerns you have. We take our customer feedback very seriously - both when it is glowing and when it is not. It is the driver of our product and it's direction. We'll get better because of experiences with good customers like you. I hope that you might consider giving us a chance again at some point in the future in being a valuable tool for you and your business. "Good copy of SAP, but VERY lacking. Half-assed solution"
The interface is very user-friendly and it is easy to navigate. Some of the support guys are really good. It is in a limbo between wanting to replace QuickBooks and not. You have to create invoices on Fishbowl to track inventory, but it cannot track payment credits. So, refunds and exchanges are impossible without manually adjusting the invoices on Quickbooks. Cannot handle partial shipment well. Doesn't have agiring A/R and A/P summary. Everything requires a custom solution, regardless if it is basic or advanced. Everything costs an additional cost of upwards of $2,000. Very frustrating to use. The shipping plugin is broken and cannot print shipping labels. It is filled with useless functionality. Cannot handle multiple out-source and drop-ships for a single item. If your Business requires refunds and/or exchanges, this is not the software for you. If you need basic accounting reports, this is not for you. If you are price sensitive, this is not for you. Too many hidden costs. We need to track inventory. And our inventory is a little complex than just buying a bunch of parts, assembling them and selling as a product. FishBowl is the only software that is compatible with QuickBooks, so we did not have much of a choice. After using for about a year, it feels like it was a mistake. FishBowl lacks the basic accounting function required to sell products. They have a hard resistance against providing those features and reports. Without basic, meaningful reports, it is worthless. "It's almost a good program"
It does keep track of inventory well, and it syncs with Quickbooks. Once it's synced with Quickbooks nothing can be changed or corrected, so that's a pain. No one with Fishbowl seems to have any idea what a business does on a day to day basis, or what features would actually be helpful to someone who is selling the inventory Fishbowl is helping them keep track of. Being able to quickly and easily print a receipt is a tiny little detail that they evidently don't find important. It's a three-step process and it required a phone call to support to find where to go to find the option of printing it. If you're looking at Fishbowl because it's compatible with Mac... spoiler alert--it's not. Be prepared for a friendly, helpful support staff that's very familiar with how the program is coded and absolutely no idea of how a business works or the day to day requirements. For instance, the most recent upgrade made printing a paid invoice receipt a three-step process. It doesn't sound like a lot, but I have to print a receipt for every order and now EACH ONE takes three times as long. Another for instance... it took THREE MONTHS and probably 80 hours on the phone with support for them to figure out how to make Fishbowl sync with Woocommerce, a feature that the program supposedly already had. I honestly felt like I was the only client they had and they were figuring out how the program worked as we went along. It does keep track of my inventory, and it syncs with Woocommerce so inventory stays current as orders come in. One of the reasons I went with Fishbowl was because it advertised the ability to sync with Woocommerce. I guess that was just an aspirational thing though, because it took three months of never-ending support phone calls for them to figure out how to make it sync. "Independent Report Writer Consultant "
When I was creating custom reports for Fishbowl I loved how easy it was to really customize the program for each company's individual needs. At the time I disliked that you could not get snap shots of past inventory levels. The company I worked for was creating after market solutions that could be integrated with Fishbowl to make that a reality. Perhaps that function has become standardized now. This is a great software product not just for the functionality currently available in the product, but because of all of the available add-ons through third party companies out there. Fishbowl can be turned into something completely custom for each company. 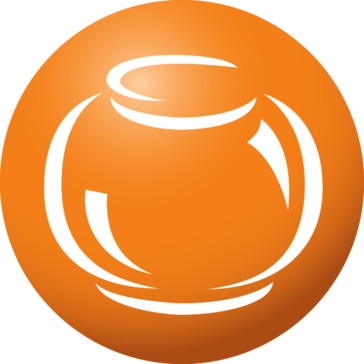 When I used Fishbowl I helped companies create a variety of solutions. I helped them structure their Manufacturing process. I helped streamline their shipping processes by creating fast printing label reports. Overall Fishbowl just gets every aspect of your business more organized. "Won't run, full of bugs, no refund provided"
We couldn't find anything we liked because we were never able to get the software to run. The product looks like it hasn't been updated since the 1990's. The sales pitch does not include the technical skills you need to get the product to work. Installing servers, remote desktops, etc. They have a 30 day return policy, however it took us that long to get things set up. At that time the product failed to even open. We had had enough, and requested a refund but were denied, even though we had not entered one piece of data into the software yet, and we were not able to get it to run. We then asked for a partial refund to compromise, and were denied again. We haven't been able to use the product because it doesn't work, and they refuse to provide us with a refund. We are submitting a screen shot of our invoice to prove we are a customer, since we cannot even open the software right now to take a screen shot of the dashboard. Fishbowl Inventory is a great software and it meets the majority of the operation needs for our Sales Division. However, the outstanding issue with any implementation of new/existing software workflow is the different skill set and knowledge towards the platform. Having Zach perform a 2 days on-site training was an excellent idea. He was able to be here to answer various type of questions face-to-face along with a demonstration of the system, it helps the ease of onboarding all level of users. The downside to an out-of-box software solution is the level of customization with the platform itself. "Used to be great, now filled with bugs and customer support is a joke"
Its potential. Can be a great program, and used to be, but too many bugs in newer versions. We experience daily glitches in the software, ever since they migrated to a mysql database. We use their mobile app to pick orders, which is great in theory. We experience problems with picks daily and have to call their tech support to remove the corrupt orders from the database. We give them feedback and thoughts on when and why these errors occur and they don't seem to care to address the problem. It's been nearly a year and nothing has been resolved. We've been loyal to them since 2014, but the quality of the software has gone down hill. Their support staff is seriously lacking as well, and is a cause of much frustration. If you stick to only using their client, you'll probably be fine. If you use their mobile app, which is an ADDITIONAL charge, mind you, you will probably face similar problems to what we are experiencing. If you want to pick orders via mobile, do not use. They're mobile app cannot handle simple requirements. If you stay on a computer client only, you're probably fine. Good inventory management in theory and the program is powerful, but for us, it is causing us so much headahche we've begun to look for alternate solutions. Software bugs are cause daily disruptions to our business. "Fishbowl is great for fitment for the auto industry"
If you have a list of over 1,000 products, Fishbowl is great. It integrates well with accounting and fitment for auto/boat parts. It saves every customer's order which is very useful because we get repeat customers, however it may have been years since they last ordered a certain part. We can look up previous orders from them which aids in customers only ordering what they need and no more. That in turn keeps the customers happy and coming back. its a little clunky to use, could definitely be a bit more user friendly. There is a bit of a learning curve and does take time to train new employees. "It is missing some essentials, but overall is good"
The platform and the UI, it is easy to move through modules. It does not accept payments to balance or payments to an account. Customers are only seen by their name and not by their account number. Customers cannot have same name, so you have to be creating differences between them like putting a number to them ( ex: John Doe 1, 2 ,3 ,4.....). Estimates run inside the balance when they shouldn't. You will need to pay a lot of extras for it to work like you want to. "Stay away from this product"
This program might work for a company that is all in one location, but I have several remote employees - this did not serve my business needs as I had hoped. Technical support was lacking in knowledge and not always available for scheduled training; delivery of barcode scanners was not timely, couldn't customize the way I wanted to. Took five months to get the system mostly running, then when I tried to return the product because I was tired of the aggravation, they told me I was out of the return policy period and I had to involve my lawyers. Not good customer service at all. Stay on top of the 30 day return policy, if you have any doubts what so ever, CANCEL IMMEDIATELY. The management will try to make it difficult for you to make that decision within the 30 day period. I wanted to be able to see my inventory in real time, QB's online cannot do that. No benefits from this product, just aggravation. "Worst decision in my business history"
It had a lot of advanced features, which, if set up and used correctly, could make a business more organized and proficient. Fishbowl is a very misleading company that does not have the customers best interest in mind. The software layout is quite difficult to navigate and understand. It claims to integrate well with Quickbooks, but you will constantly find things which are not transferred. They give you a demo bike company system to start out with, but no instruction on how to start a fresh company or to connect it with quickbooks. We also came across a "bug" in their system which doubled our customers grand totals on sales orders & invoices. Customer service has unwilling to try and make things right. We attempted to get our money back after 45 days and are not being heard. Fishbowl does not care about their customers, after they are past their (hidden) 30 day return policy. Save yourself the stress & find another company. I would not recommend switching to fishbowl with an established company. It may work better if starting from scratch, but I wouldn't risk the merge of data. None, it only created more. easy of use is a big one. so many different functions. easy to find items for inventory. reps are always kind and patient. it pretty much syncs with any applications. for some reason it will duplicate (etc) items on a sales order that is pulled over from our website. it logs off a lot. would be nicer if i could just stay logged in all day without having to re-sign in. keeping track of all our inventory, what goes in and out, customer information, etc. // it's easily adjustable with forms, searches, custom reports, labels, etc. I used a license from one of my manufacturing clients. FIshbowl made it easy to find information for transactions that were flagged in QuickBooks for my review. This application seemed to integrate very well and was fairly simple for a new user in myself. Pulling some reports was a bit slow and exporting of data to Excel was not in a very useful format (it required some cleaning up for my purposes). Customer support is excellent. Jason help with an issue (pulling a report) for me on a very quick turnaround. I used it to pull information for an audit, but I can see that this could help a growing business to manage incoming inventory and where that inventory is eventually used for a product ultimately sold. "Excellent for standardized assembly and manufacturing"
Modules are fantastic. Great for inventory management. Accountants will love it. Great for managing POs and adding landing costs. Manufacturing module and BOM is great. Simple and intuitive yet very comprehensive. We had a custom manufacturing shop and Fishbowl did not seem to be the best setup for this. Better fit for assembly of components or standardize manufacturing. Did not support multiple currencies. Some challenges at times with Quickbooks integration. This is a fantastic product that if you and your team commit to it will meet your needs for inventory management including maintaining minimum inventory levels, auto POs. Manufacturing and BOM is a breeze especially if you are assembling stocked components or have standard BOMs. Easily create sales orders (nothing flashy) but gets the job done. Lastly, the exports are really great and allow the user to analyze data outside the software. "Easy to use. User friendly. Not ideal for big businesses." Simple to navigate, user friendly, easy layout, quick to fix any user errors. Also, to place a RFQ/Bid Request into a PO, all you have to do is "Issue" the order! This is much more simple than previous quote to purchase order processes than I've dealt with on other systems. It is also one-click to un-issue a order as well. Basic reports that most companies would utilize such as "Vendor Open Orders, Reorder Report, Receiving History, and Purchase Order Summary" all have to be customized and are not standard reporting features. Another burdening issue is that the reports do not export cleanly into Excel, or at all for that matter. Last, the program is very slow for me and will sometimes glitch. I am sure there is Fishbowl support that can fix they difficulties but it is interesting to me that they are even issues to begin with. Make sure to utilize any support they have to offer. Fishbowl has the basic modules for manufacturing companies: Materials, Sales, Purchasing, Manufacturing, Accounting, and Set Up. "Fishbowl is a step up!" We added Fishbowl to our Quickbooks and it has been a huge improvement. It lets you do so many things that you could not previously with only Quickbooks. It is super simple to use and the implementation has been easy. Anthony, our rep has been extremely helpful and very patient! He answers emails very quickly and is always willing to schedule time to meet to go over specific issues and questions. We are fairly new to Fishbowl but happy so far! Unfortunately some of the reporting capabilities are limited in that you cannot customize them yourself. It does not allow you to add or delete columns/data. In order to do so, you have to request a quote, wait for a response and then pay for a custom report. Fishbowl is helping us track our inventory better and allowing for more accurate job costing. Fishbowl is easy to use and set up. Love the visual aids in identifying item status. "Easy to use and navagate between things needed"
I like being able to fine a PO and receive it then go to a sales order and confirm for billing. Also look up a part number in our inventory and see history of sales, how many on hand. Sometimes the systems gets confused if you have different discounts for the same part sold to different customers, or different discounts to the same customer that come from different vendors. i.e.. impco carb parts 10% off , oil filters 20% off. It helps us to keep track of things sold and things returned in our inventory and history of sales. in the parts dept. The ability to manage, move, and transfer inventory throughout your warehouse with a few key strokes on your handheld... Also having Anthony as our key contact in helping us learn Fishbowl. I would have to say my only real dislike would be the inability to correct an order once it’s process and fulfilled. The ability to manage and track our inventory when orders are being picked as well as track inventory when orders are picked over/short. "Gets the job done with bad UI, terrible (nonexistent) support, thousands in hidden residual fees. " Software is sometimes slow and buggy. Support has no direct phone numbers, no way to get a hold of anyone except email, which they take weeks to answer, if they even answer. Support will literally never answer the phone, so you have to call sales who also often don't answer the phone. If they don't know how to answer your question they'll just ignore it forever. Fishbowl Go is absolutely useless if youre picking high volume as it doesn't work for group picking, so forget about paperless. No support for barcode scanning pick items for verification (the solution they do claim to offer is laughable). Broken, useless plugins that they will fight tooth and nail to refund even though they use blatant false advertising and gimmicky, slimey sales tactics to sell in the first place. The price per additional user is astronomical, and so are the yearly update fees. Fishbowl itself does an ok job as a softwrae. It will improve your workflow and efficiency if you're coming from using quickbooks. "The experience has been fabulous from sales to implementation"
Good Training. The special reports folks are top notch. Knowledgeable staff. No direct lines for support. Sometimes you can wait a day or so for an answer and want a live body. Also It takes a long time to convert the data from the old system to Fishbowl. Pay the money to have Fishbowl come to convert your data. We didn't it it took a long time. Its going to save us a ton of man hours and give us better tracking capabilities. The overall interface of fishbowl is extremely easy to interact with and navigate. I do not like how slow Fishbowl can be as it does not work on the cloud. As a user I am unsure if this can be done or not, however I would appreciate it if zip codes auto-populated towns/city/state. Great service as you buy it once per user then only pay annual service fees. It can operate a bit slow, but works fine. Right now we are working on potentially using the barcode feature that Fishbowl offers. Most of our products that we sell (excluding some) are already equipped with barcodes, so now it is about implementing it into our daily utilization. "Great for smaller businesses or those just starting!" User interface is very visually guided allowing for easy location of functions. Some features are hidden or hard to undo. It was used to track the product he had going in and out of the warehouses as well as between the two. It greatly increases our knowledge of our stock and allowed us to better predict when new stock was needed or when to put stock orders on hold. "Great application for our needs"
Fishbowl is a powerful tool for inventory control, purchasing and sales order management. The implementation and training we received from the Fishbowl team was second to none. There are still some applications that still need work such as backordering of sales orders and fulfillment date issues with invoicing. Inventory control and billing. We have a complicated process that Fishbowl will help tremendously keeping track of the multiple parts associated with our process. The reporting capabilities are limited so if you are not familiar with its process you need to know the set up process steps in order . "Customer Support is the Best"
Their willingness to improve the software and their support teams. They've made huge improvements on how they handle support cases and turn around times. The pricing is a little high but their Sales Team are always willing to work with you and get the best pricing they can provide. Better Plugin functionality out of the box. Some basic features are needing custom work but they have the team to accomplish the goal. Warehouse Inventory Management and Website Integration. Their developers team is very knowledgeable and have no fear at tackling custom work if needed. "impressive software and support staff"
the software is excellent, easy to use, intuitive and flexible. the support staff is better. i don't like spinach. i also don't like smog or noise pollution. previous inventory management system was archaic, difficult to use, unsupported and undocumented....this is the polar opposite of all of that....could not be easier or better documented and the training is excellent. I like how easy it is to keep track of our ordering your multiple facilities. Jlthe imports through excel make it so easy and seamless to get the information to our staff and ordered and keep tracking of everything. I wish more links were click able to other areas of the software. Ordering quickly through multiple facilities digitally. The menu set-up is pretty straightforward and easy to figure out without having to look for instructions. I also like that you can move columns around and personalize the data configuration. Nothing yet honestly, it works for what I need it to do and nothing about it really stands out as being annoying in any way. It gives us the benefit of being able to forecast and plan for production. "Good Program, But It Requires Tremendous Care and Feeding"
It is easy to implement, relatively easy to maintain and users do not have a terribly hard time learning it. It has done a decent job managing MO to shipping. Jobs like exporting to Quickbooks Enterprise are part and parcel of using Fishbowl. The problem is that those jobs often die in the middle, leaving the job engine in a hung state. That stops any and all subsequent jobs as the error checking within Fishbowl is apparently non-existent. The jobs cannot be terminated from within Fishbowl and it's logging is poor. The best way to actually see what the program is doing is to tail its output log and hope you can glean clues about problems from it. Fishbowl uses the Firebord database system, and other DB choices for larger installations (Oracle, Microsoft) are not available. While Firebird is a decent DB, it has nowhere near the flexibility and power of its larger competition. Going back to the jobs problem mentioned above, many of these could be run on the database server by the DB itself, but that is not an option with Fishbowl. That means that FB is a program that will struggle to keep up with growing businesses. Implementation is key, make sure that you have a good database programmer and administrator on hand. It will require intense care and feeding. ERP -- inventory management, manufacturing and fulfillment. Fishbowl was a major improvement over the incumbent it replaced. Inventory accuracy and better understanding of the system. "great to use, simplies our ordering process from manual to online"
not having to manually enter product orders for retailers. "The Cons outweigh the Pros"
Be ready to spend hours implementing and getting it to fit you company. Its not easy to do but after many hours you can get it to work. Also be ready to spend extra afterwards. Difficult to customize, somewhat clunky. Had to pay developer each time we needed a customized report. Isn't cloud based, so can only remote access via VPN. Once you start using it, the flow of data is fairly straightforward. Some logical gaps in how data is mapped between modules. Make sure that you get connected with a great trainer. Sabrina Jones, our trainer, is great to work with! More confidence in our inventory levels. "Better the more you learn"
Fishbowl is a nice program. Easy to create PO's and sales orders and makes receiving quick. The learning curve on FB is steep but once you understand is is easier. Tracking stock items and project related PO's and receiving. Personal service, IT support works great with our company and our clients. All is well not much to dislike. Great Company to work with. As a 3PL integration with our clients is the key to success for keeping existing clients and gaining new clients. "FishBowl Overview and Review of current process"
Christiana was able to jump into our data, review the current state, ask some clarifying questions and immediately start offering some potential solutions. Due to to scheduling conflicts there was a delay from one meeting to the next. "Lengthy process and limited functions"
That you can quickly scan your inventory into the system for easy logging and book-keeping. That we are not able to utilize all the function capabilities of this software. You will need to purchase items like the scanner and such separately in order to utilize more faucets of the software. Accounting for each roll of TP, markers, and other office supplies. We have been able to track to with section of the department has been using the most of the supplies and helps us give a detailed list of supplies used and expenses for our grants. "LOVE FISHBOWL software, but their team is even BETTER! " I am writing this review because I am a VERY pleased Fishbowl Customer. I implemented the system 1 year ago and the team at Fishbowl is top with helping you from the implementation to the support after. Fishbowl has streamlined our operations and I can't say enough good things about the software and it's team behind it! I wish it was more compatible with a MAC. "Fishbowl inventory for a small business"
Crashes alot and unstable. Freezes alot . "Powerful tool with a moderate learning curve"
Patience. There is a learning curve. But the support is good. I struggle to find a good answer to this question. The absolute rigidity of the software to correct mistakes. "Robust and Very Helpful "
good way to manage and visualize inventory. Used for multiple products across many different platforms and locations. I had no issues with this product. It has worked well thus far and I enjoy the product. Make sure to pay attention during on-boarding process. Allow multiple members of team to learn on-boarding. FhishBowl support people are *Johnny on the spot*!! Just wonderful people to work with!! Resolved the issue fast! Nuff said. Software has a few bugs. Support has always addressed them when found. Inventory control and shipping integration. * We monitor all Fishbowl Inventory reviews to prevent fraudulent reviews and keep review quality high. We do not post reviews by company employees or direct competitors. Validated reviews require the user to submit a screenshot of the product containing their user ID, in order to verify a user is an actual user of the product. Hi there! Are you looking to implement a solution like Fishbowl Inventory?